The day of the wedding is incredibly momentous and special. It is a day worth capturing with artistic expression. 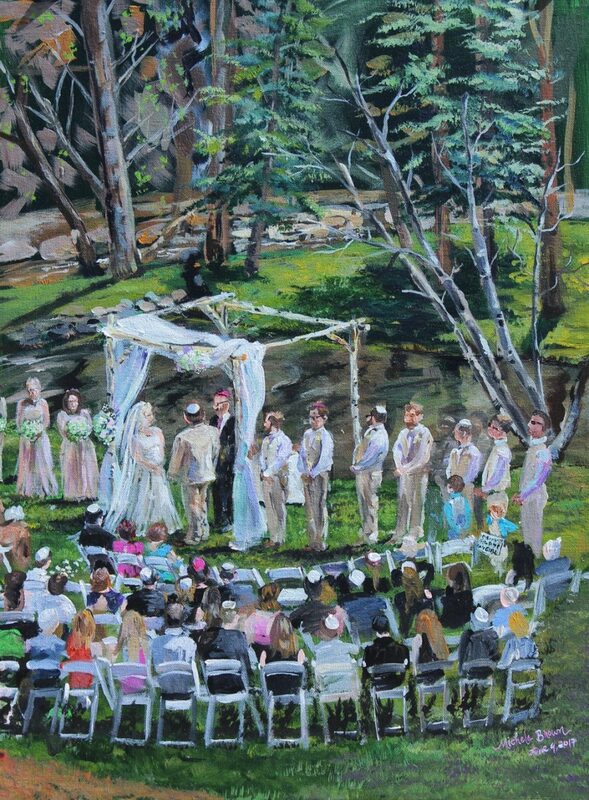 My live wedding paintings do just that. 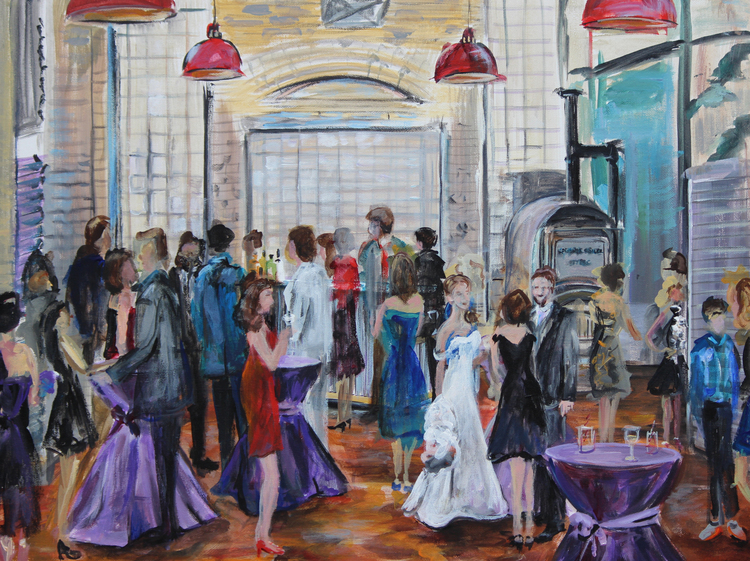 They are painted from a unique vantage point that results in a painting that stands out from other captured memories. 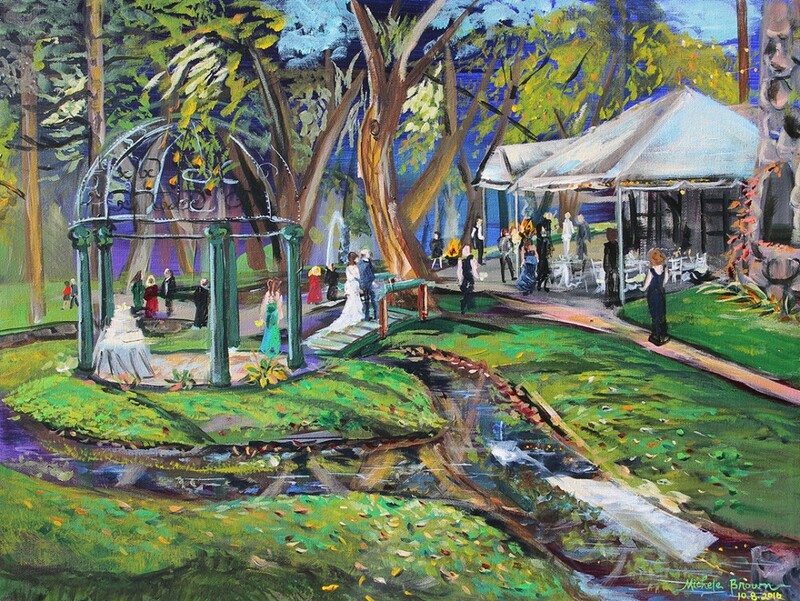 Plus, the newlywed couple has a piece of art to be hung in their new home. Garden of the Gods 2018. 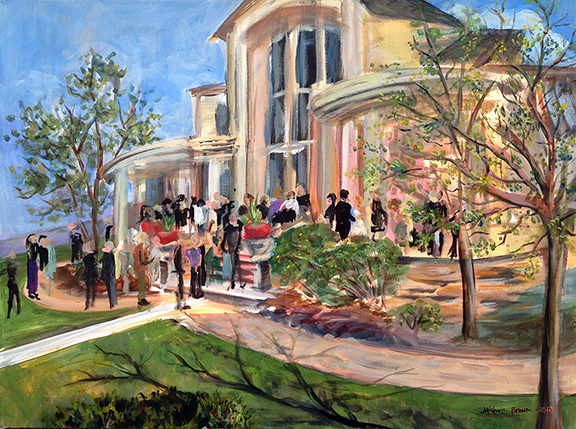 This bride requested the painting be the colors of her wedding: grays, rose, and gold. 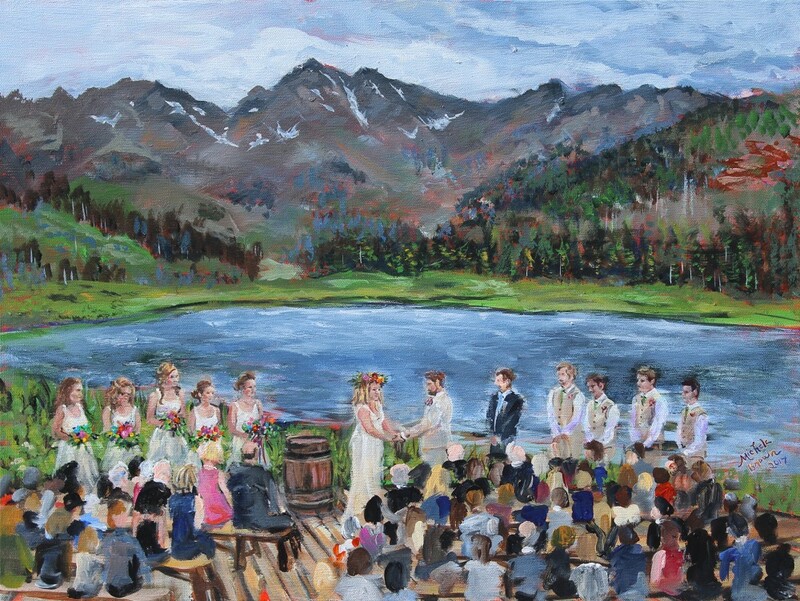 This wedding simply speaks “Colorado” to me. 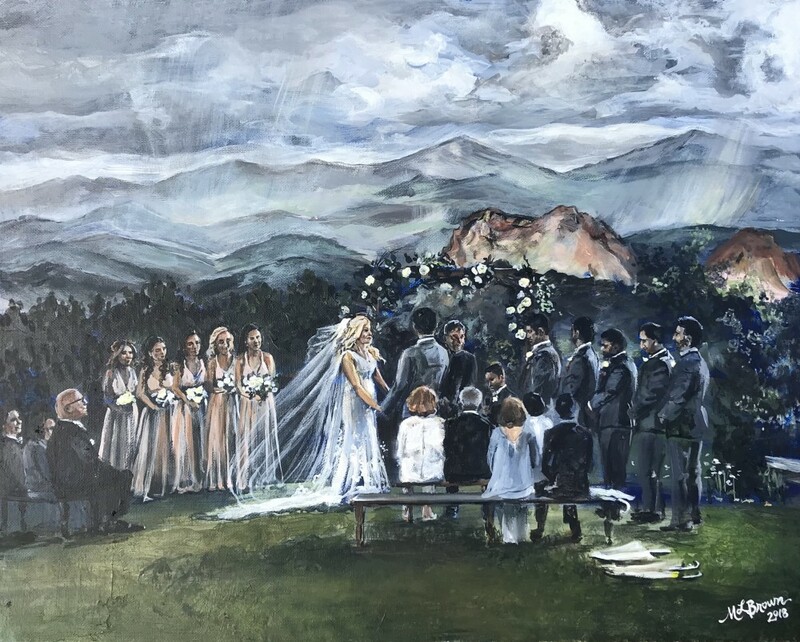 The amazing storms in the background and sunset views over the foothills of the Rocky Mountains allowed me to create a painting full of deep colors and tons of movement. The best place for me to set up was smack dab in the middle of the green. 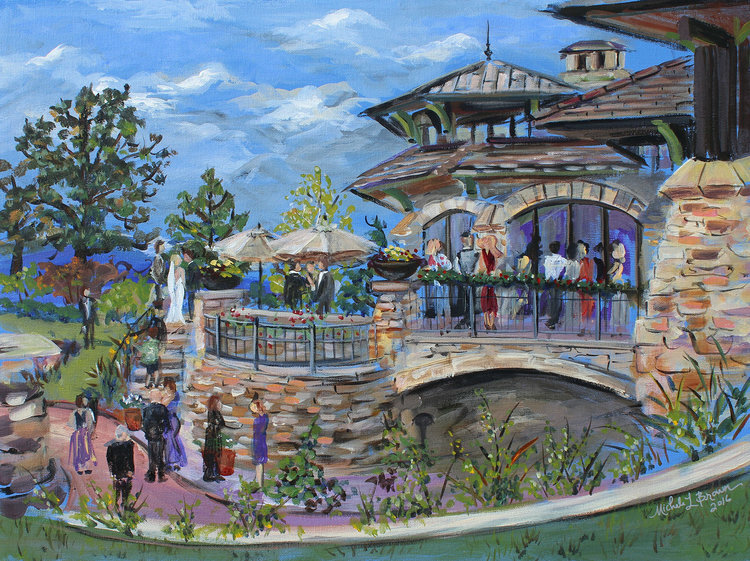 Thankfully the guests were amused and delighted to have a live painter. 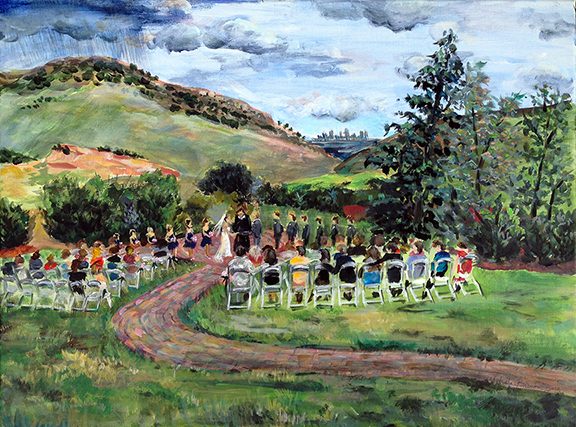 Most brides choose the cocktail hour, however this was of the wedding ceremony itself. 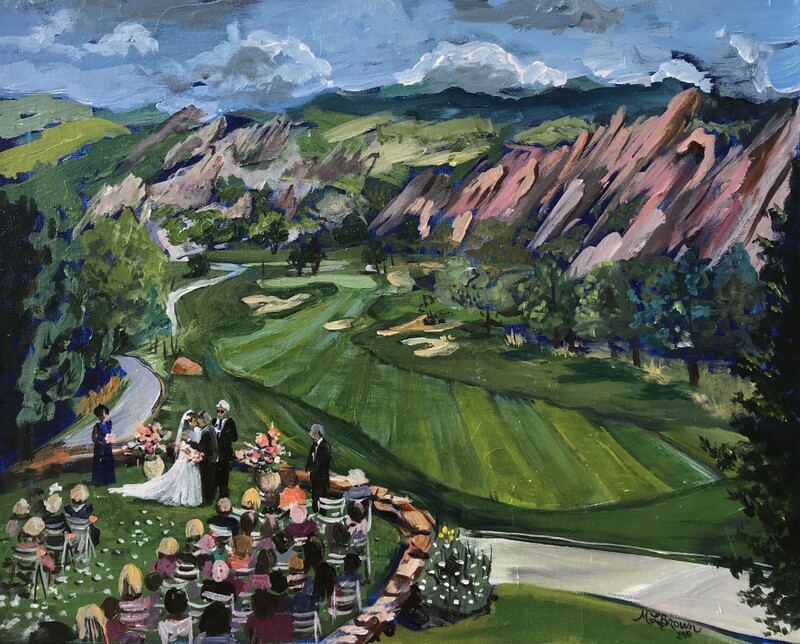 Nestled in the foothills with the Denver skyline behind the perfectly shaped mountains called for a wedding to be remembered. There was a ton of lightning during this wedding, but the rain managed to stay off to the distance. 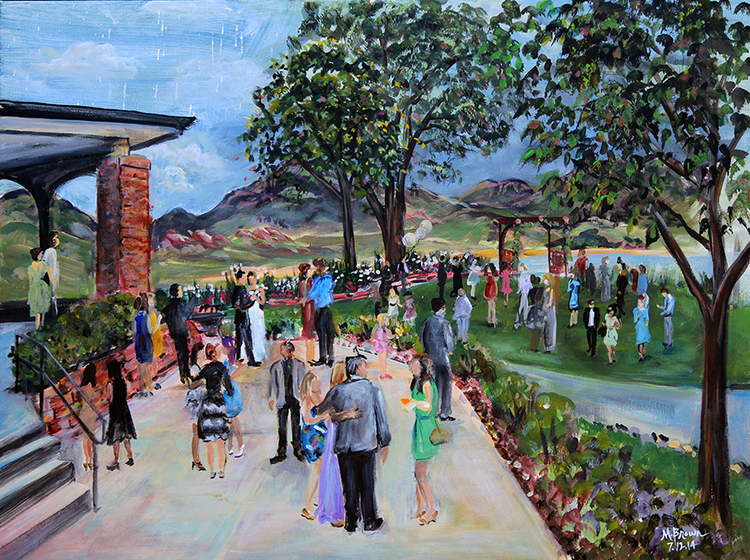 This is the first wedding painting I was hired to do. 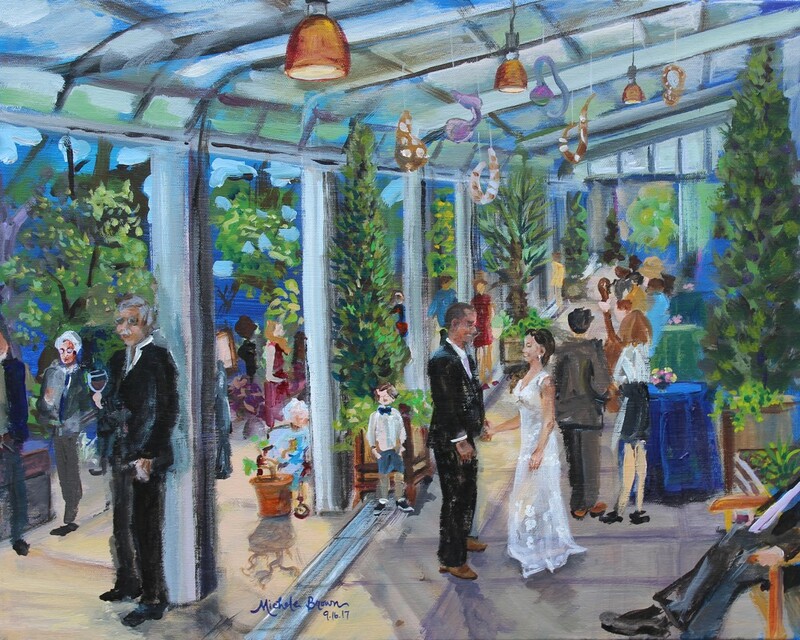 The lovely bride and groom were so busy, so this is when I learned that I would most-likely have to photograph them and later on place them in the painting where they would fit best. One of my favorites still!